It’s been nine years since the heart-wrenching tearjerker that was “Toy Story 3.” Andy went off to college, the toys found a new home with Bonnie, all was well. It was the perfect ending to the series– or so we thought. 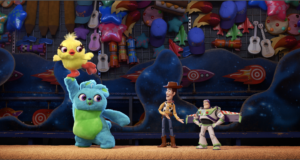 On Feb. 3 during the Super Bowl, the first trailer for “Toy Story 4” was released. The film will hit theaters on June 21. The trailer features Woody reuniting with Bo Peep who is making her return to the film after not appearing in “Toy Story 3.” Annie Potts will again voice Bo Peep. When she asks where Buzz is, we find him tied to a carnival prize board along with various stuffed animals. The first glimpse fans got of the latest installment of the franchise was via its official Twitter account (@ToyStory) on Nov. 12, 2019. The video also introduced a new character named Forky. Looking more like a spork than a fork, Forky is a plastic utensil with googly eyes and pipe cleaner arms and voiced by a newcomer to the series, Tony Hale. Forky is not the only new character slated to join Buzz and Woody on their adventure. Another teaser from Twitter introduced Ducky and Bunny voiced by the comedy duo Keegan-Michael Key and Jordan Peele. The two taunted Buzz in Sunday’s trailer, mocking his famous “to infinity and beyond” catchphrase. Original characters from the first three films are also featured in the teaser such as Bullseye, Rex, Hamm, Slinky Dog and the Aliens. 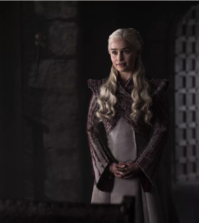 Fans had to wait the entire duration of the Super Bowl to catch the new glimpse. In fact, Tom Hanks, the voice of Woody, had more than one appearance during the game’s commercials. He narrated an ad for the Washington Post that paid tribute to journalists. Ever since the film’s teaser premiered on Twitter in November, the cast has been vocal about wrapping up their hard work. The voice of Buzz also chimed in, as Tim Allen had his own remarks after finishing his recordings. Randy Newman is also returning for a fourth go-round as the film’s composer. As shown by the trailer, his iconic hit “You’ve Got a Friend in Me” will be featured on the soundtrack. Pixar mogul John Lasseter is credited on the film as an executive producer, despite his recent departure from the company this past January. His diminished role in the company he helped build came on the heels of sexual misconduct accusations in the fall of 2017. As of Jan. 9, Lasseter is no longer employed by Pixar and is the new head of Skydance Animation. This isn’t the only controversy Pixar has had to endure, as the film has also dealt with losing its original writers. Rashida Jones and Will McCormack left the film last November in response to unequal opportunities and lack of creative control in the workplace. Despite all of the obstacles, “Toy Story 4” is still on schedule for its summer release. With such a short trailer, clocking in at just 30 seconds, Pixar has once again left fans on the edge of their seats waiting for more.